Anthology Hoxton Press is a selection of Studios, 1, 2, and 3 bedroom homes designed by world renowned Karakusevic Carson Architects and David Chipperfield Architects. 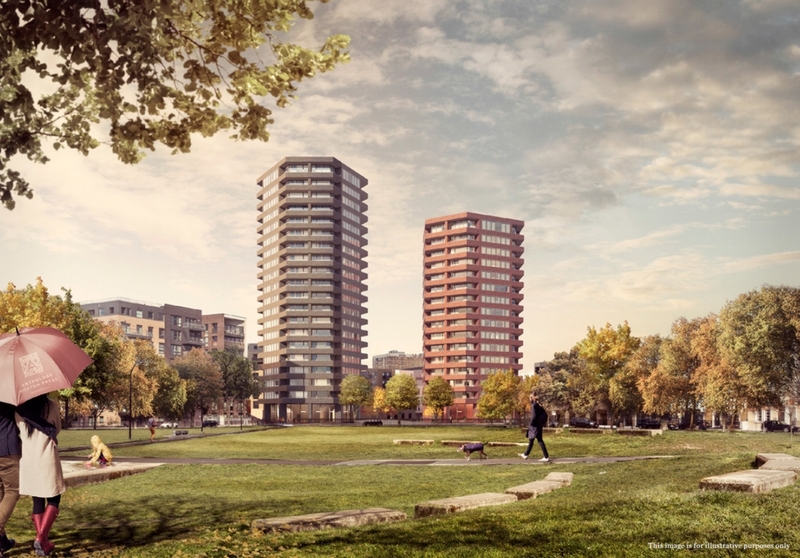 Comprising of two landmark buildings, Mono and Duo, as well as a community cafe and landscaped gardens, Hoxton Press will be a hub for the community. Located in the regeneration area of the Colville Estate, nestled between Shoreditch Park and the Regents Canal, Hoxton Press will celebrate the heritage left by the sites former occupiers, The Mullord Brothers Printing Press, who created intricate Victorian paper between 1860 and 1920. Hoxton Press has excellent links to the rest of London. Angel and Old Street Underground Stations are close by, as well as Cross Rail from Farringdon and Whitechapel*, and Overground services from Hoxton and Essex Road. Home to an incredible number of artist, studios, design and tech businesses and world-class galleries, Hoxton is a stimulating place to live and work. Anthology creates homes that are 'Built from London'. For us, it's about enhancing neighbourhoods by celebrating the rich fabric of the city, the people, their stories and the culture that makes London so special. Building work has now commenced at Anthology Hoxton Press and completion of the two towers, Mono and Duo, is expected by summer 2018.